Maybe it all began with maps at the wall, colored pins and some fibres. In this way they defined areas on the map which show e. g. the catchment area of companies and shops. By means of this method they could find raw areas very good and could turn their special attention to them. But the abilities of this method are pretty limited. External information could only be badly presented in the maps and has to be analysed, collected in listings. With the still continuing fast development of computer hardware since the end of the 1970’ies and also enhanced software the gap could be filled faster and more efficient today. In the late 1970’ies the first research supported by the available technology in terms of geomarketing has been done in great britain. The advance of computer aided geomarketing with some kind of GIS is clear to see. 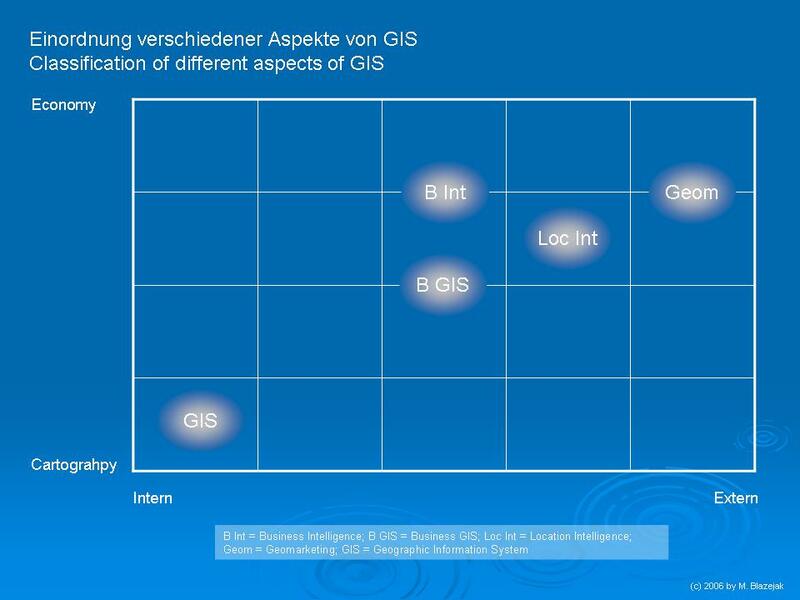 Only by collecting and spatial referencing information you can efficiently create complex maps with combined information in a short time (visualisation). The available information growth constantly in quality and quantity. Costs of computer hardware doesn’t play an important role anymore, because a desktop-GIS can be run on a nearly every standard computer. Real costs are produced by software licenses and external information. Because of the short times for calculating analysis and intersections you can go and find the best solution out of a lot of possible attemps (trial-and-error).